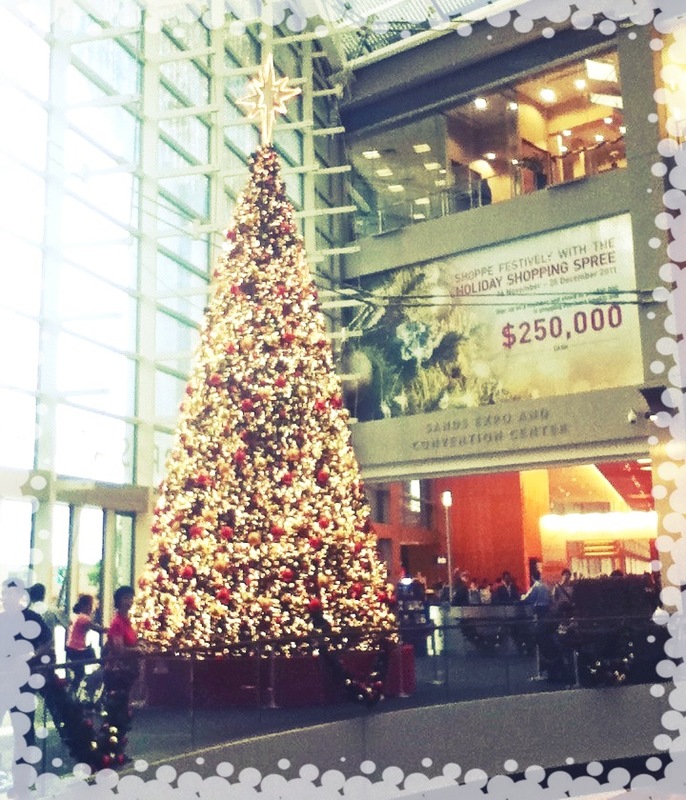 Unlike in the Philippines where Christmas starts on SeptemBER, the beginning of the ‘ber’ months, celebration of the season here in Singapore isn’t felt until after mid-November. 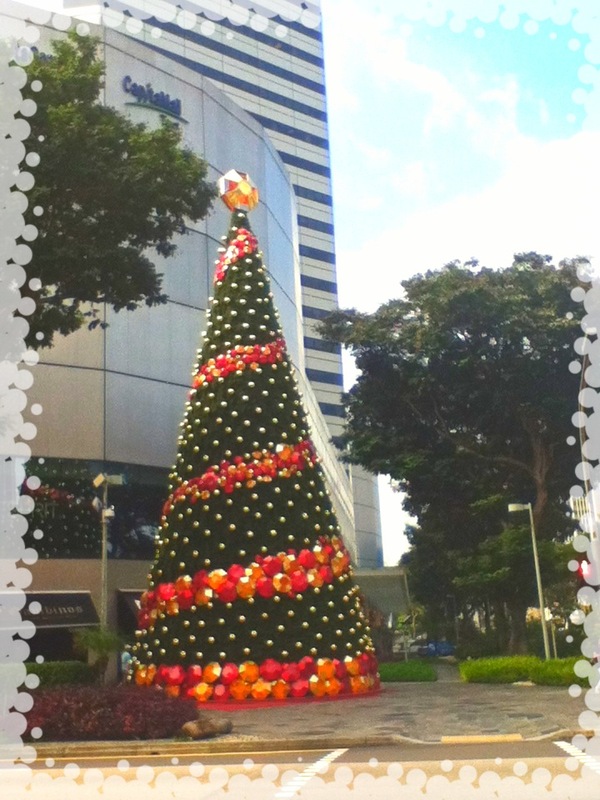 However, it doesn’t stop SG from being bongga (Filipino slang for extravagant) in their Christmas decorations. Apart from the Christmas Sale, Christmas Decors stalls being put up, thousands of people flocking to the mall doing their Christmas shopping, it’s actually the lavish Christmas Trees in the malls, sparkly Christmas Lights on the streets, and elaborate decors everywhere that make me really feel that Christmas is really near. It gives me a warm and fuzzy-feeling inside (yes, I get kilig over this thing, being a true, blue, Christmas-loving Filipino that I am), every time I come across any one of these beautiful things that reminds me of Christmas. It makes me forget (just for a second) that I’m spending the holidays here (note spending and not celebrating) and just revel in the fact that it’s CHRISTMAS! Raffles City Shopping Center – Viewable from North Bridge and Bras Basah Intersections. Their tree last year was better and more creative though. Marina Bay Sands Shoppes – It’s on the other side of the Marina Bay Theatres. 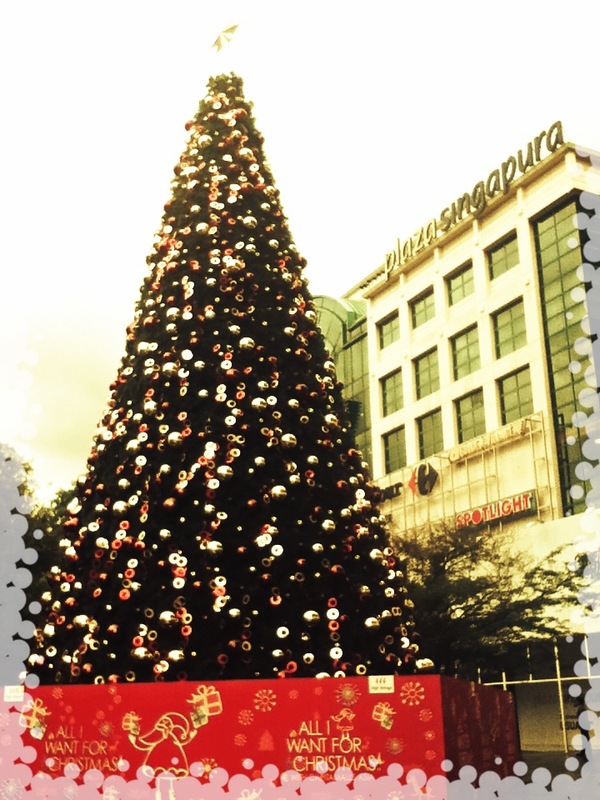 I think it’s best if they put a tree on top of the Skypark for all of Singapore to see. Just saying. This is my favorite: Christmas with an OC Attitude. Orchard Central at Orchard Road. 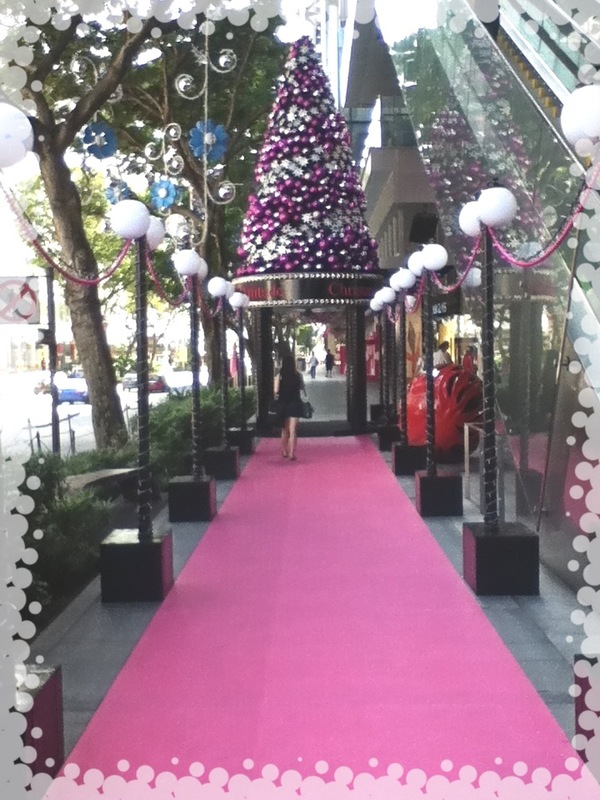 Their tree is small but you should see the lights at night: so Pretty in Pink. I’ll be updating this whenever there’s a new photo. 🙂 This is it for now!